Yep, I blinked and all of a sudden it was Sunday! As I look back, it is hard to remember what happened throughout the week – with myself as well as our learning activities. At the beginning of the week, I found myself in a dangerous postition…I had no more lesson recording sheets. It was on my mind to print some…and then, I got distracted! I am not at all worried about it, simply humored by how fast a week can pass. 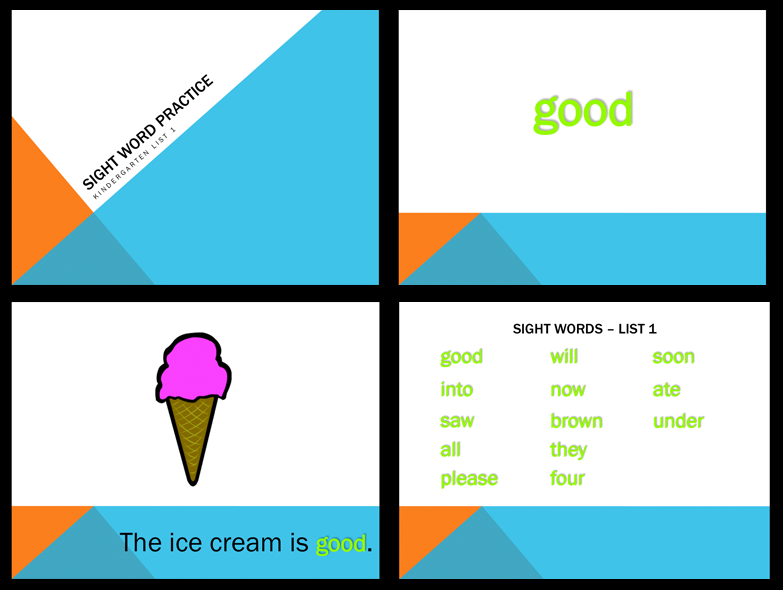 1) Dolch Sight Word PowerPoint – Kindergarten List 1 – using the lists found at spellingcity.com, I created a PowerPoint presentation including 13 sight words, a sentence with each word, and a review slide at the end. These are a compliment to the pre-k set that I made last month. 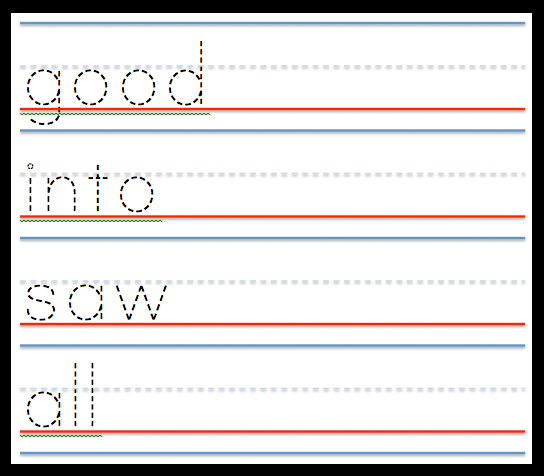 2) Dolch Sight Word Tracing Sheets – Kindergarten List 1 – dashed words to match the (K)List 1 words above. This document is a little plain at the moment. Working to update it soon. 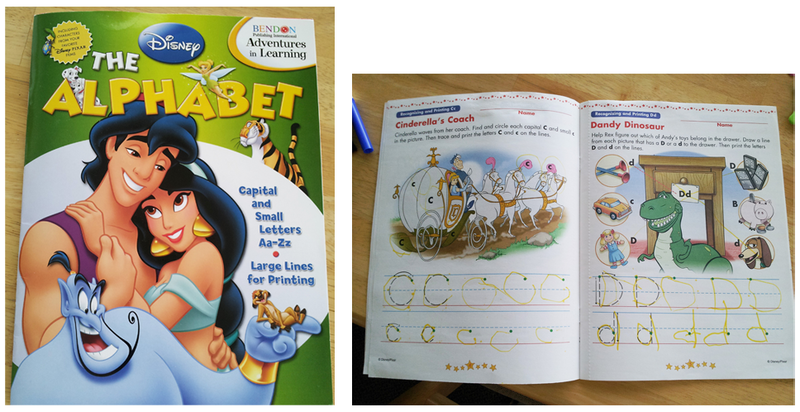 3) ABC tot Tracing – Many times, Madison wants to work on the same thing as her big brother, sight words included. 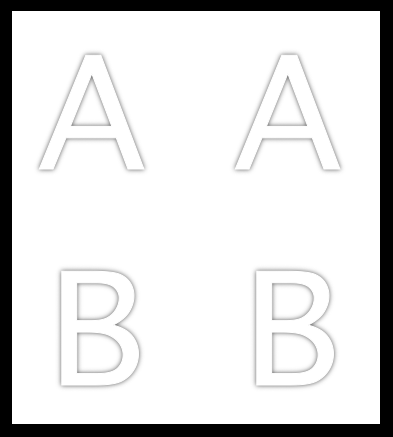 I created this document so that a toddler can trace inside the letters A-Z. I have an ABC tot PowerPoint but it is a little too rough to upload at the moment. Look for it to come soon. Also, look for a download and/or printables tab coming soon. Blessings to you as you venture on this week. 2) An extreme pressure toward finding a whole or partial curriculum. I will preface this with saying, there is absolutely nothing wrong with pre-made curriculums. Coming from a background of ten years teaching in the public schools, I am a fan of certain curriculums and not others. I can see where specific curriculums work better in a private or home setting vs a public school setting, or for one student personality vs another student personality. I get all of this. What I have realized this week is the venture to find a curriculum when the Lord has told you not to is a bit futile! I also discovered that walking this homeschooling journey is akin to parenting in general. When I had my first child, I thought the internet would be my best friend. Um…no. With all the wealth of information out there, I quickly discovered that there was too much information out there. Breastfeed vs formula, cry-it-out vs never cry, spanking vs not, cloth diaper vs disposable…you name it, the arguments are there. All sides are right, all sides are wrong. I quickly found my head swirling and my eyes shedding many-a-tear because I was worse off after my two hour search! 4 years into parenting and another child later, I finally came to understand. When searching the internet all those times, I would end up searching for an opinion that already matched mine and it made me feel better about what it was that I already had a leading to do anyway! Parenting is being me, with the Lord, training my children up as we go. If I’m really not sure, I’m going to ask the Lord, or another person who is walking this journey with me and slightly ahead of me. This same thing goes with homeschooling. There are as many ways to homeschool as there are unique and individual families. What is right for one is not automatically right for the next. Some may be and look similar, some may look completely different, but they will all have their own flavor…as they should. So I walk on, being my own flavor with the Lord. I know the Lord has told me it is not time to purchase any curriculum, but to follow the leading of Mason and his interests. My encouragement to you in your journey, be it life or homeschooling or fill-in-the-blank: If you are following the true desire of your heart, don’t give up. Stand on what you know is right, and walk on. Today you may feel overwhelmed, tired, and stretched, but joy comes in the morning. Each day is His and therefore, each day is yours. Live it, Love it, Joy in it, Learn. My children love to empty my center desk drawer of all its pens, pencils, erasers, binder clips etc. This time Mason had placed most everything from the drawer on the kitchen table. This included a ruler that had cm on one side. My husband explained how to line an object on the zero and find its length. Mason spent the next 15-20 minutes measuring items from the drawer. Several months ago, I came across a free Lego pack by www.walkingbytheway.com. Two of the pages included were addition and subtraction of blocks. We spent most of our time doing the subtraction. You place an amount of Lego bricks on the card, let them count, and then take some away while their eyes are closed. The student then has to tell you how many you took away. We made sure to restate the problem after each time “Six take away two equals four.” This will really help when we are ready to move to writing these type of problems using symbolic form. This was a fun review game. It is the age old game of concentration using Uppercase and Lowercase letters. I made a set of alphabet cards and we placed a 4 x 4 block of cards on the table (8 letters of the alphabet at a time). Mason would turn over two, trying to match the uppercase letter with its partner lowercase letter. We did 15-20 minutes on starfall.com working on word family reading, recognition, and spelling. I saw him work on the -an, -at, -en, -it word families, but there may have been more! If you have never used starfall.com, jump over and take a look, it is a wonderful free online tool. My lesson this week: never underestimate. I am seeing a beautiful blend of basic planning and inherent motivation budding forth. It will help to explain using examples. We have several educational workbooks that have been given to us and have thus far been mostly out of sight, out of mind. In hopes to decrease the pile, we started working through these to use them up. Sitting down to work on letter tracing: my basic planning – complete two pages. Mason’s inherent motivation – complete 5! Another time I noticed this blend of basic planning and inherent motivation: throughout the last couple of weeks, Mason has been more consistently sounding out words. Out of interest, I asked if he could spell ‘and’ the other day. He could. This makes it a great time to move into the realm of spelling basic word families and sight words. It came to me to write several letters on the ground and have Mason spell words by jumping on the letters in order. I made sure to include the letters of his name so that there was a word with which I knew he was familiar. Not only did he spell the words I thought up, he then started making words out of the letters on the ground. Words I hadn’t even thought to ask him. Then he said a word, realized one of the letters wasn’t there, and wrote the letter with the chalk himself. Wow! My basic planning – have Mason spell his name and a few other words. Mason’s inherent motivation – spell given words, make my own words, include new letters. I must pause and say, there is definitely a timing to this whole process. There were a few times this week that I presented the idea of tracing letters and either it just didn’t fly, or only what I asked was done (and that with little enthusiasm). In these instances, I didn’t push and we didn’t move on to other areas. Most of our learning activities this week happened on Wednesday and then Saturday and Sunday. There just seemed to be a “no go” on the other days of the week. This, however, is the beauty of “doing school” from June to June on a 12 month cycle…plenty of time to flow. 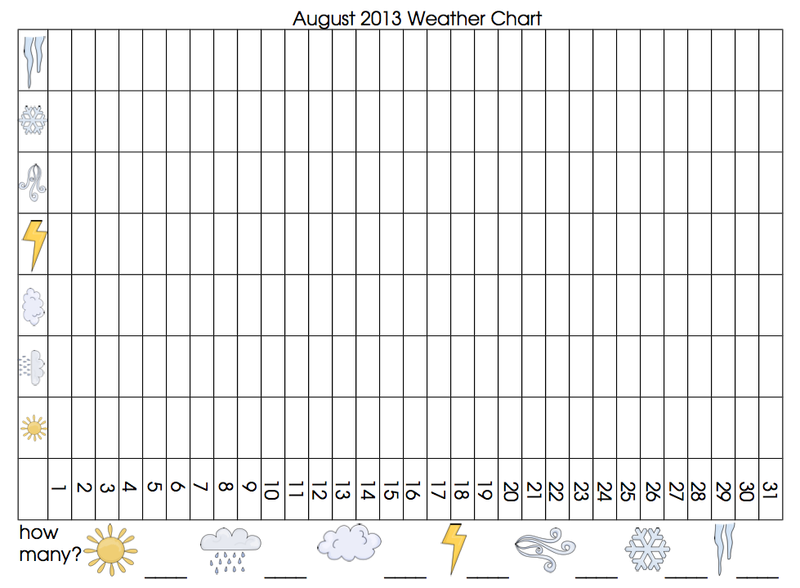 The only math we did this week was graphing the weather each morning with our calendar activity. The activity is set up to do daily. This is not something I’m willing to make happen everyday. It seems to work better for us to do it once, maybe twice, a week – doing a few days work at one time. 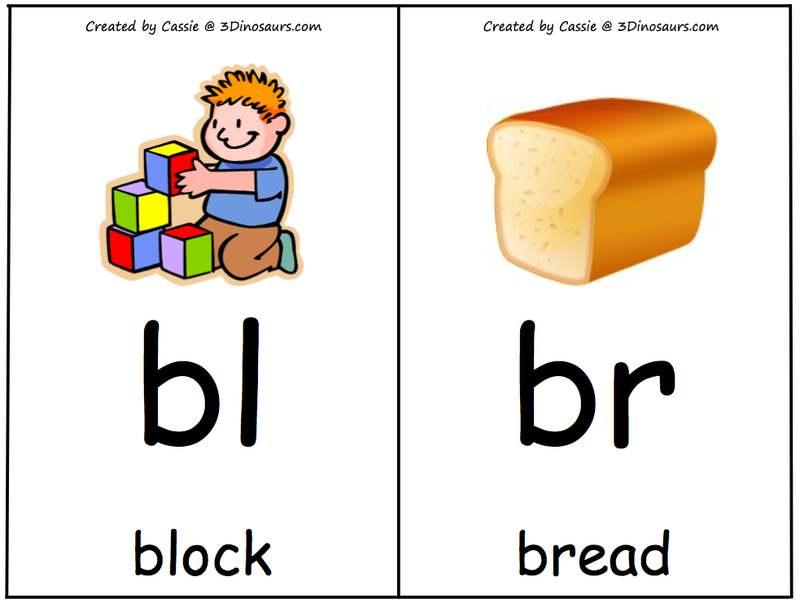 Since sounding out words and attempting to read books is occurring more and more, we began to look at and attribute sounds to specific blends of consonants. These wall cards helped with the sounding out of each particular blend and then I had Mason think of another word that started with the same blend. Reinforcement is always good, and we have a large supply of foam letters. Thank you Grandma S for the foam letters! I also found this great Lego pack at walkingbytheway.com. So, we practiced color sight words, by finding and placing the correct foam letters on the words. Since spelling is becoming a forefront concept as well, I made sure that once the word was completed, I would ask the question, “How do you spell blue.” Since the word was in front of him, it simply gave him a chance to practice responding to that question. As stated above, we have several educational workbooks that I am ready to work through and lessen the pile! The pages with letters A-D were completed this week. What we are now calling Spelling Jump. It is the activity described in the blog above. Writing letters on the driveway and giving Mason a word to spell by jumping on the correct letters in order.